The Sagicor Life Insurance Company was incorporated in the 1950’s in Phoenix, Arizona. 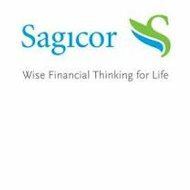 Sagicor primarily markets life insurance and annuity policies in the United States. Sagicor Life is a subsidiary of the multi-national Sagicor Financial Corporation. Sagicor Financial provides for the insurance and investment needs of consumers in 22 nations including the United States, Great Britain, Central and South America and the many independent countries of the Caribbean. Sagicor Financial dates back to the 1840’s when it was known as the Barbados Mutual Life Assurance Society. Sagicor has a proud history of service in the Caribbean region. The Sagicor Life home page and subsequent pages display numerous photos of happy and healthy children, children at rest, children studying, and children at play. The page features information about Sagicor’s current nationwide “Kickoff Kid” contest. What makes Sagicor Life unique and different in the insurance industry? The company has 160 plus years of easing the minds and lives of families who purchase their products and services. Sagicor is committed to enhance the lives of its customers and the communities they serve. Sagicor Life was recently rated as excellent, A-, by A.M. Best for its financial stability. Gold term coverage provides benefits up to $300,000 depending on the insured’s age, from age 18 until age 75. 10, 20, and 30-year term options are also available. Approval for this program is simple and fast and there are no medical exams or testing required. For clients suffering from a terminal illness, accelerated benefit provisions are available at no extra charge. Sagicor offers competitive annuity programs that will suit the needs of growing families. These include fixed or locked index annuities and single premium and deferred premium annuity options. Sagicor also markets an interesting combination whole life and annuity program. Four convenient calculators for life insurance, mortgage financing, savings, and retirement may be accessed from the Sagicor Life home page to aid consumers in their financial planning efforts. A policyholder portal gives Sagicor Life customers immediate access to policy and claims information. Sagicor Life sends out free copies of its book of financial solutions. To obtain a copy, submit a request at http://www.sagicorlifeusa.com/en/book-of-financial-wisdom-1. Brokers and insurance agents, called “producers,” have access to Sagicor Life through their own portal, https://secure.sagicorlifeusa.com/cgi/web001.pgm.